Daniel 9:23 At the beginning of your pleas for mercy a word went out, and I have come to tell it to you, for you are greatly loved. Therefore consider the word and understand the vision. God shows His love for Daniel by sending an angel, Gabrel, to explain his visions. God is saying “I’m letting you in on my plans” some of which he is allowed to write down and others are just for him to hear, words given to him in confidence from God. I sat there and it floored me. God is sharing his deepest plans with Daniel, why… Because you are greatly loved I have come to tell you… Just as Daniel got to hear God’s heart, his desires and feelings, and his plans 40 authors over 2000 years inspired by God were sent to tell you, to let you in on God’s heart and plans, why? For you are greatly loved… Every statement in the bible is packed with power and meaning. I don’t need courage I’ve got something greater when I have His word in my hand. Studying the Bible is every Christian’s privilege and duty. Even before we get down to reading and study we must establish the most basic foundation. To study God’s word we need ACTS; Affections, Context, Text and Study. Aims & Affections – John 7:17 tells us that our problem with knowing or figuring out what the Bible is saying is not that what the bible tells us is hard to comprehend, our problem with knowing is that we lack the will to do God’s will. Understanding the Bible starts with having the will to do God’s will; our persistent intent and purpose must be to accept God’s will and to do it. Then Proverbs calls us to treasure knowledge, the next step is to value knowing what God wants to reveal in His Word and will. You have to want it. You have to value it. Yielded; you have to be willing to accept what it says whether you like what it says or not. Pray to have the right spirit. We must understand that scripture tells us we have a proclivity to rebellion; we have a sinful nature and therefore this does not come naturally. Through reading, meditation, prayer, worship and (incremental faith based) submission we must trust that the Holy Spirit will bring about change in our aims and affections. John 7:17-18 If anyone is willing to do His will, he will know of the teaching, whether it is of God or whether I speak from Myself. He who speaks from himself seeks his own glory; but He who is seeking the glory of the One who sent Him, He is true, and there is no unrighteousness in Him. John 8:43 Why donʼt you understand what I am saying? It is because you cannot accept my teaching. Context – One of the most powerful statements I ever read which just opened up scripture to me was made by J I Packer in “Knowing God”. Packer Said “We feel that we are, so to speak, on the outside of the Bible world, looking in… The sense of remoteness is an illusion which springs from seeking the link between our situation and that of the various Bible characters in the wrong place… epoch, culture, etc… The link between them and us is not found at that level. The link is God Himself. For the God with whom they had to do is the same God with whom we have to do.” I believe knowledge of the cultures and original languages will add to that understanding but I do not believe it will ever turn the meaning around 180 degrees or even 90 degrees for that matter. It may skew it slightly but for all intents and purposes what God wants us to learn we can get from a good, honest translation. 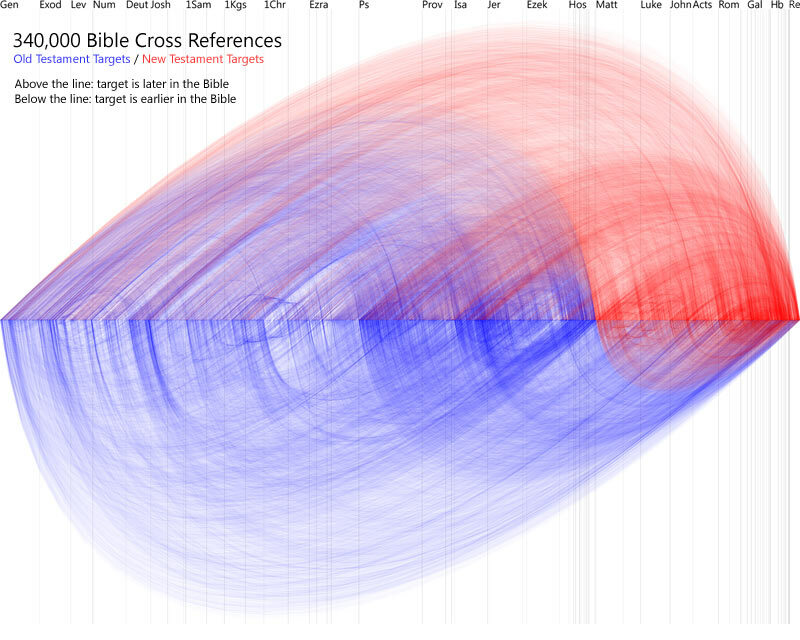 The context of the words in scripture will lead to an essential understanding of scripture. The Bible is written for all; it is more significant that it was written from God’s perspective than that it was textualized to ancient Israel. To understand what we are reading; in order of significance we need to consider our own context and objectively identify our wilfullness and then consider literary genre, immediate context, surrounding context and historical-cultural context. Read – Use reading plans such as Chronological, Sequential, Life Application, and others as well as devotionals and memorization to develop a picture of what scripture is saying at a high level and to acquire and retain Gods word. 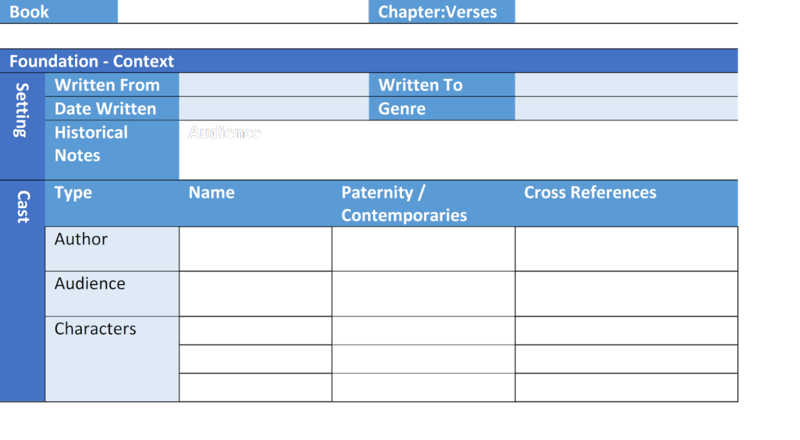 Between reading and studying you can fill out a book survey making a cursory note of some key words repeated through out the book and write a theme for each chapter. Inspect – From reading one should proceed to meditation in deeper study of what the Word is saying. This high level understanding coupled with the Words of God hidden in the heart is then brought to bear when you seek to understand scripture’s fullest meaning. As we look deeply at a particular passage other passages from Scripture should come to mind placing limits on what the passage may mean while removing other limits allowing the Spirit of God to bring to light further meaning. Studying then involves stepping through a book passage by passage, re-reading, and using methods of observation that take note of the immediate context and key words to form a deeper understanding of what the Word says. Methods of study include Inductive Bible Study and Cross Referencing (the bible is its own best interpreter) and topical study tools. Examine – Having achieved deeper levels of understanding and uncovered other possible implications in scripture methods of exegesis such as key word study, and proposition or discourse analysis (arcing) can be employed for the deepest levels of study. The purpose of examination is to ensure that what you understand about a passage of scripture is the correct interpretation and the fullest possible interpretation. Acts 17:11 – Now the Berean Jews were of more noble character than those in Thessalonica, for they received the message with great eagerness and examined the Scriptures every day to see if what Paul said was true. 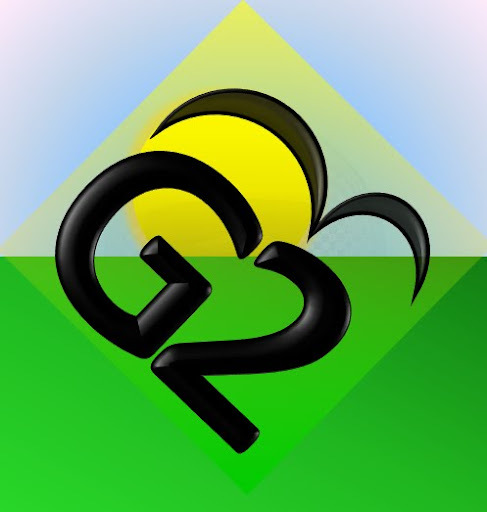 Cook, David L. BibleGateway.com: A Searchable Online Bible in over 100 Versions and 50 Languages http://www.gospelcom.net/ibs/bibles/translations/index.php. MacDonald, Brent. 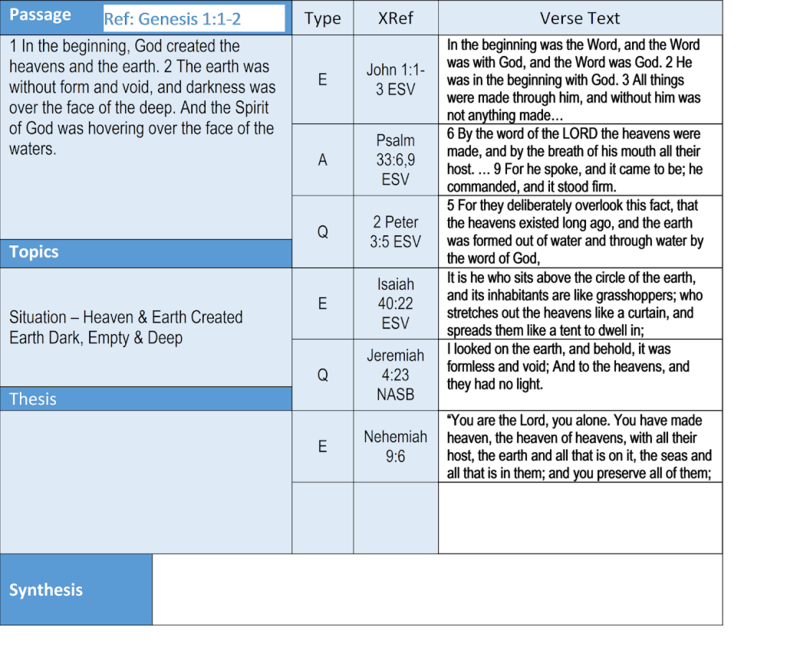 “NJAB – Comparison Chart of Bible Translations Showing Style or Type of Translation and Readability or Grade Level.” Not Just Another Book: How We Got and Why We Trust the Bible! http://www.notjustanotherbook.com/biblecomparison.htm.